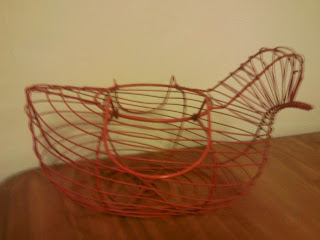 Today I bought a chicken for 20 cents (Australian), my cheapest (cheepest?) one ever. 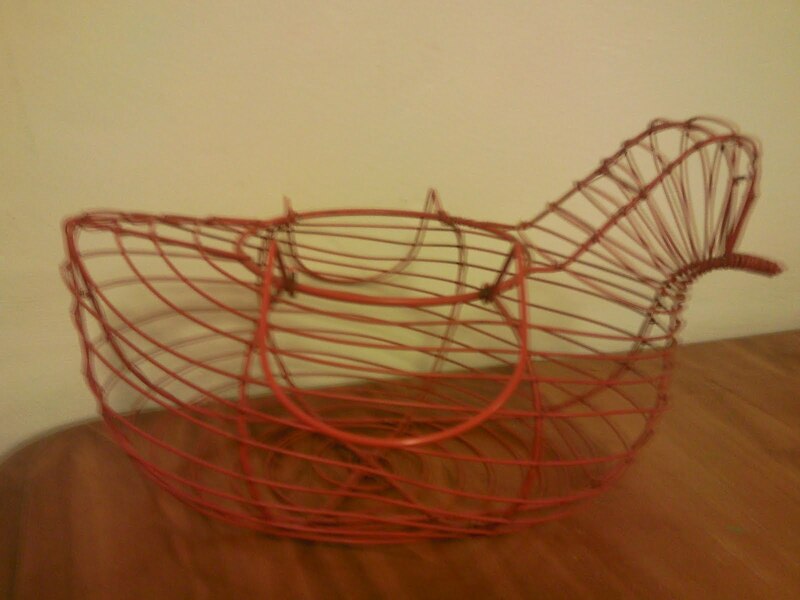 She's a vintage, red wire hen egg-basket, with gorgeous flapping wings. She came from a local op shop (charity shop if you're in the UK, thrift store if you're in the States), and I saw an identical one on Etsy this evening for $15 US. I reckon I got a bargain! What a cluck! Enjoy your newest girl. Where will you put her?